I’ve just finished what could become my personal book of the year 2013. I’m practically speechless, but I should write a review here, so I’ll see what I can come up with 😉 Oh, I almost forgot. 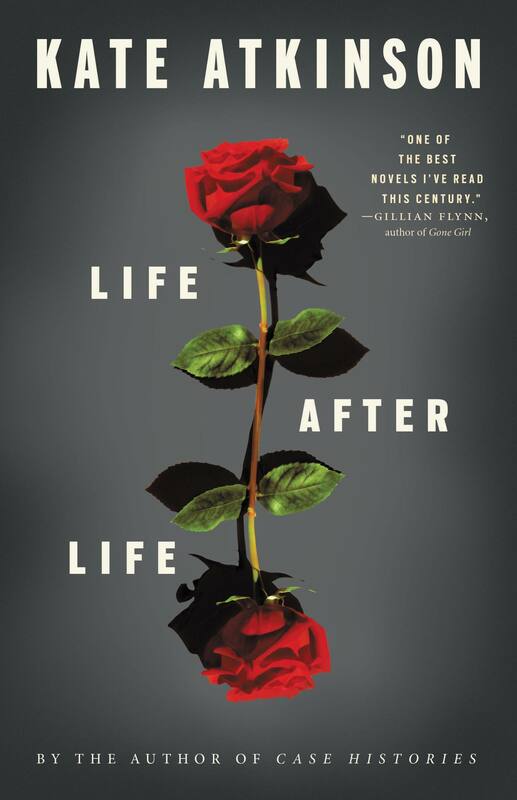 The book I’m talking about is Life After Life by Kate Atkinson which was shortlisted for the 2013 Women’s Prize for Fiction. Life after Life is mainly set in 20th century England and boy does Ms. Atkinson know how to create setting. I lay there in the grass, looking up at the sky. I breathed sun-filled air as well as gas. I saw the clear skies on the mountains and the darkness of muggy cellars. And then I went to war and found myself on top of a collapsed building, searching for survivors, while bombers were still dropping their deadly cargo all over London. As you can see, Ms. Atkinson not only did a great job describing the setting, she also created a main character that I could easily identify with. This main character is Ursula and I loved to follow her through her many lives. Although follow seems to be the wrong word, as I often became one with Ursula. We simply merged. I seldom thought that one of her decisions was the wrong one. There are many other characters in Life After Life. Each of them is unique. I like how Ursula has a stronger bond with some and a weaker with others. Just like in real life. I have never read a story like Life After Life and I think it is brilliant. In the beginning, I had no idea how the story is going to work out. The only thing I knew was that Ursula was able to live her life over and over again. I like where Ms. Atkinson takes her and how she let the story end. I love that this book offers so many emotions. Throughout the story there is love, loss, pain, hope, sorrow and happiness. You get the whole package. Life After Life is a book that shows you how much can change by deciding to do something different. I fully recommend this book to everyone! Thank you for your review!! I’ve added this book to my to-read list. You’re welcome 🙂 I hope you’ll like it as much as I do! Thanks for recommending this book! This book sounds brilliant! I’m going to add this to my to-read list!